In 2005 many companies celebrate their 10 years of existence online. Recently the daily Eindhovens Dagblad celebrated the 10 years existence of an online edition. On June 15th, one of the major IPs Planet Internet commemorated its launch. On July 1st, 2005 the Dutch quality newspaper NRC-Handelsblad was 10 years online. No mention in the media is there, that on August 7th, 25 years ago, the first public service came online. 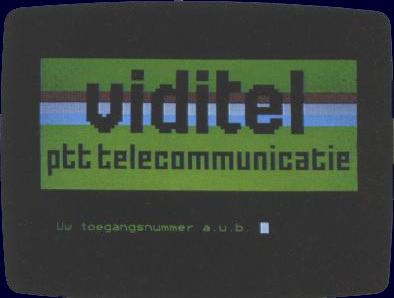 On that date in 1980 the Dutch videotext service, named Viditel, was launched after two years of preparation. No one had any experience with setting up and selling an online service. Only a handful of progressive librarians had experience with searching scientific and technical information online. The launch of the online service was the starting point for a complete new industry in the Netherlands and it took quite some time for it to blossom. 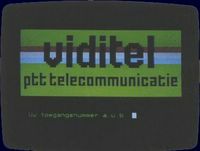 The videotext period lasted from 1980 till January 1st, 1997, when the public service Videotex Nederland was unceremoniously dumped. Also other online services in that period, the so-called ASCII service never made any real impression in terms of business and turn-over. When in 1985 the CD-ROM came onto the market, many people believed that online would be dead by 1990. But it did not. 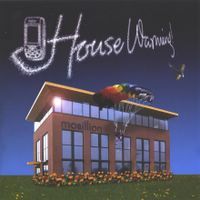 In fact CD-ROM and its spin-offs like CD-I and Electronic Book were frozen online multimedia carriers, which taught Dutch production companies multimedia and formed a perfect launching pad for Internet. Internet in the Netherlands came into the main streams from the universities. 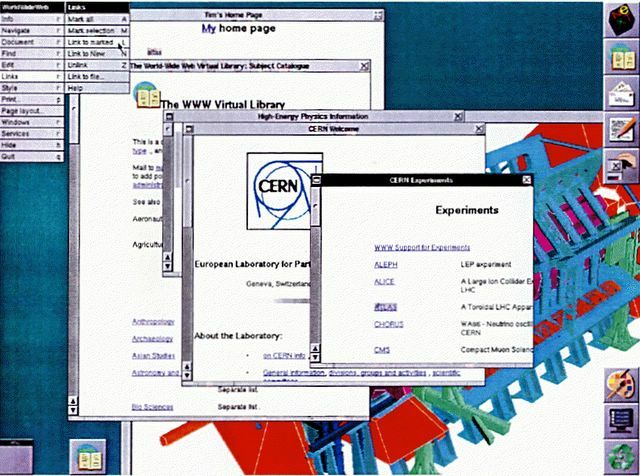 While students at universities worked with e-mail and fast online, the first World Wide Web browser was being developed at CERN in Geneva (Switzerland). With Mosaic and Netscape as the first web browser, the first commercial ISPs started to show up in 1993. With the creation of the Digitale Stad (Digital City) in Amsterdam, the first online consumer service was created. By now small band internet has grown into broadband, almost covering more than 50 per cent of the households in the Netherlands. This is opening new avenues like triple play: one telephone line for telephone, internet and television or cable for television, internet and telephone, both as an integrated offer. As such it will bring television programs and theme channels to the home, whenever the residents want it. Besides fixed line internet, internet content can be picked up by mobile phone. And here also convergence starts: music and movies can be downloaded, but also television programs. In 25 years online in the Netherlands has grown into a content and digital services industry, mainly due to internet. And in the meantime it has gone through the rise and fall scenario during the dot.com crash from 2000 till 2003. After the hype and the backlash, the way up has set in again. Read how online in the Netherlands grew: about the ventures and the failures; the optimism and the realism. Read tomorrow about the starting environment for online in the Netherlands. The mobile telephone network Telfort starts on Monday August 1, 2005 operating its EDGE network. It will be the first mobile company with a fast mobile network covering the Netherlands nationwide. The speed will be 236 Kbps over against UMTS 384Kbps. UMTS in the Netherlands by KPN and Vodafone do not have a nationwide coverage yet. Telfort still has a UMTS license which it inherited from O2, but so far has not done anything with it. KPN is intending to acquire Telfort for 1,1 billion euro. A sticker with a code and a sms system are the basis of a typical Dutch service Biketag.nl. In a country with millions of bicycles, many bicycles get lost and stolen. Now bicycle owners can buy a sticker with a unique identification number for five euro. The sticker is put on the bicycle. The identification number is linked to an e-mail address of the owner of the bicycle. When a bicycle has been retrieved, the owner gets an e-mail that his/het bicycle has been found. The company Biketag.nl estimates that more than one million bicycles get lost or misplaced every year. The system is not waterproof as the tag can be removed from the bicycle, yet the method majors the existing practice of engraving the ZIP code in the frame of the bicycle. The incumbent press wire ANP is fighting the start up Novum. Last year ANP won a court case from Novum as ANP claimed that employees of Novum got into the ANP database illegally. Novum was ordered to pay an advance sum of 50.000 euro. In the extensive court case that followed the judge declined to adjudicate the financial and publicity claims. The publisher Reed Elsevier presented this week its half year figures. For financial people the figures are interesting. But to me there was an interesting statement: 40 per cent of the turn-over comes from electronic products. Reed Elsevier has come a long way. The roots of electronic publishing of Elsevier lie in the company Excerpta Medica. This company produced so called medical abstract magazines, publications with summaries of scientific articles and keywords. To produce the magazine and keep track of the keywords, the company bought in 1968 a mini-computer. They were in my estimation the first Dutch publishing company to do so. Managing director of the publishing company was Pierre Vinken, who was also a surgeon. As such he got into touch with automated hospital systems and saw the opportunities for the publishing company. In 1971 Excerpta Medica was sold to Elsevier, including the production company Infonet. Within Elsevier, Excerpta Medica was based within the Elsevier Science division. The medical component of this division grew very fast. The methods of Excerpta Medica were used. Magnetic tapes were used as distribution medium for medical and pharmaceutical research companies and databases were loaded on American host like Dialog and BRS. When CD-ROM took the role of frozen online, may of the databases of Elsevier Science were put on the silver discs and distributed worldwide. After 1995 Elsevier Science began to move from printed magazines to electronic counterparts. It was in this cross-over, which has not finished yet, that there came strained relationships between Elsevier Science and the libraries. Subscriptions went only up, while libraries were obliged to have printed as well as electronic magazines. The smartest move came, when Elsevier Science announced the database project, ScienceDirect. Next to the legal database Lexus and news database Nexis, Elsevier set up a database with all its own scientific publications. By 2000 Elsevier Science brought in the majority of revenues generated by electronic delivery. In total Elsevier made 30 per cent of its turn-over from electronic products. By now, 2005, Elsevier Science, but also Reed Business contribute to the 40 per cent of the Reed Elsevier turn-over. It has taken 5 years in order to add another 10 per cent turn-over from electronic products. I guess that the next 10 per cent will take only half of this time. So by the end of 2007, the balance of Reed Elsevier’s turn-over should tip over the 50 per cent mark. Yesterday was an out-of-office day. Up to Nijmegen, most likely the oldest city in the Netherlands. For some the city might be known as it was an important city in the battle of Arnhem (A Bridge to Far). Other, the more sporty type, might know the city from its annual event of the Four Days walk (30, 40, 50 km). In this historic backdrop I had a talk with Floris Kolvenbach, who is in my perception a multimedia veteran. In the eighties he was already playing around with multimedia. He used multimedia in order to compose music and light events. Later on he moved more to movies and the restoration of movies and proves himself to be a gifted writer and script-writer. His company Digital Film Center Europe is a private company. In this company he developed a product the Moving Image Cyclopaedia. Technically it is a multimedia content management system for multimedia assets (movies, photographs, animations, text, links, references to library books) and for multimedia asset registration (copyrights, owner, author). 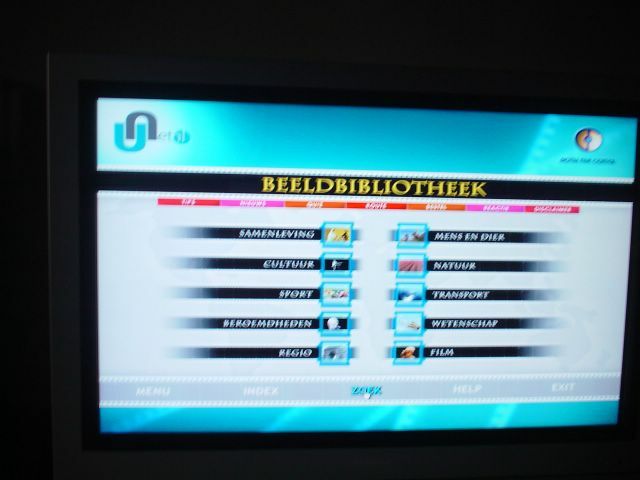 But he also showed what the system can do in The Moving Image Cyclopaedia (English for the Dutch term 'Beeldbibliotheek'. It is an educational multimedia product, specifically designed for libraries, providing access to a wealth of audiovisual documentary, linked with contextual information and books, available in local libraries. 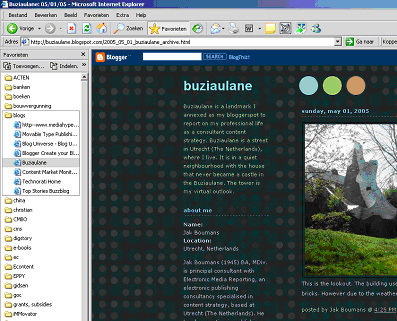 The application can be distributed best via LAN-, WAN broadband environments, given the high quality of the moving image materials.The Moving Image Cyclopaedia has been successfully introduced in the Netherlands, in the City of Almere, in the library and the Helen Parkhurst College and in cities of Arnhem, The Hague, ‘s Hertogenbosch, and Amersfoort. The next city in Europe will be in Germany, in the city of Düsseldorf (NordRheinland Westfalen). When Floris presented the Moving Image Cyclopaedia for the first time in Almere, the system contained 110 themes; now the system has expanded to more than 1100 themes and there is still no end to new movies and new themes. We also spoke about new ideas. He gets excited when speaking about setting up a digital movie festival in Arnhem and Nijmegen. Such a festival could be a companion festival to Cannes. Movies showed in Cannes could be projected in Arnhem and Nijmegen at the same time through broadband connections. Of course you would love to have some of the stars at the showing also. But then he would have to develop a tele-transportation system for that. Can you hear Nicole Kidman say: ‘Okay, Scotty, beam me up’. Walking back from lunch in the restaurant of Luxor movie theatre, he points to a small church opposite his office, which is disused at the moment. He hopes that one day he can exhibit his collection of robots there and have robots for kids to play with around the church. Last week I wrote about the speed upgrade which might be expected in the next year or even half year. The Finnish company Teleste predicted that it would start to upgrade the speed on cable systems to at least 30Mbps by 2006 and 100Mbps by 2007. The Dutch cable company Essent still hopes for a head start of at least one year. I went back today to the site of Teleste and saw that the company was doing some real marketing. So far it had relied on press releases and photographs of boxes and cables, but now they had an animation The Virtual Giant, telling about the advantages of Ethernet to the Home (EttH). With the Hulk imitation the company wants drive home that the speed will be ominous. Teleste wants to rock your world with a virtual world. The EttH does not need a modem, but an EttH wall outlet, which can be installed by the customer himself. They can simply put the Ethernet cable into the wall outlet and link it to your computer. The EttH wall outlet has a built-in filter, so there will not be any ingress by unwanted services. Altogether this animation is not bad. It does not show what the speed does to the download on the screen. In fact when showing the new speed a very slow break-out game is shown; this is not exactly a recommendation for the system. Yet, for a company selling boxes, cable connections and wall outlets, this animation must be a major step forwards in their marketing strategy. Despite the grossness it is funny and technically well done. Tiscali Netherlands and KPN have reached an agreement for the transfer of more than 60.000 Tiscali ADSL retail subscribers to KPN. for a total consideration of around 13 million euro. The agreement concerns exclusively those Tiscali Netherlands ADSL subscribers that are connected to the KPN network through a resellers contract between the two operators. Customers will not experience any change in services. Settings and conditions will remain identical. This transfer is part of Tiscali’s strategy to focus on the accelerated unbundling of the proprietary network allowing the company to offer competitive ADSL access products as well as innovative services to its ADSL subscribers. The transfer sum is around 13 million euro. So these days, an ADSL subscriber represents the value in terms of money: 13 million euro : 60,000 subscribers = 216,66 euro per subscriber. In historical perspective this is not bad for Tiscali. On the height of small band Internet in March 2000 a Dutch World Online user was 6.400 euro worth. This valuation had gone down to 1850 euro by December 2000, when World Online was acquired by the Italian company Tiscali. By January 2001 a French Liberty Surf user was worth 1066 euro. But in April the value of a German Planet Interkom user to Tiscali had come down to 110 euro. By November 2001 the absolute lowest price was reached when Tiscali paid only 5 euro for a Dutch Wish Nok Nok user. About a month ago I received a CD-ROM from Marcella Giulia Lorenzi, a Ph.D. student currently attending the PhD course in "Psychology of Programming and Artificial Intelligence" at University of Calabria, Italy. I met her in 2003 at 'The Europrix Summer School and ACTeN Scouting Workshop” in Salzburg (Austria), held at the Kolleg St. Joseph in the Garden of Villa Trapp, organized by ICNM (International Center for New Media), entitled "Producing Broadband Multimedia Content - 3D, Music and Video on the Web'. The participants produced a broadband project on "Sound of Music - Reloaded", about the famous Hollywood motion picture shot in Salzburg, and web design of the summer school's daily weblog, including more than 700 pictures. Have a look at the site; it contaiuns some hilarious fragments and pictures. She was a little bit of a stranger in the team as all the other participants were people studying multimedia production. She studied and still studies mathematics and is a multimedia artist interested in combining art and science/technology. Yet asked for research areas of interest, she will tell you: Electronic and Generative Art; Storytelling; Interactive media; Communication and new technologies or if you want to have it in other terms: Computer Graphics & Virtual Reality; Educational Technology; Electronic Art; Visual Arts, Film studies & special effects; Digital sound processing, Linguistics. Altogether, she covers a broad field. 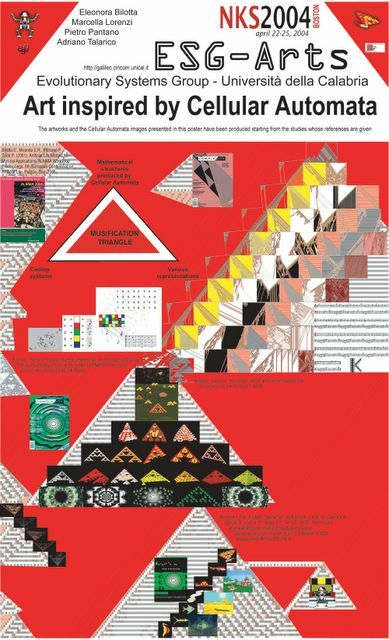 The CD-ROM, which has been produced by her, is a CD-ROM on Mathematics, Arts and Cultural Industry. This is a very wide area. The CD-ROM contains the proceedings of a September mini conference held at an island near Venice and the proceedings of a national conference in May held at Cetraro. It contains papers, but also multimedia, ranging from photographs to videos and music. But the CD-ROM contains also multimedia presentations such interactive movies with 3D figures and sounds as well as presentations of virtual museums. I have been scanning through the papers and the multimedia assets with a lot of interest. The menu of the CD-ROM is bilingual in Italian and in English and the papers are also in English. 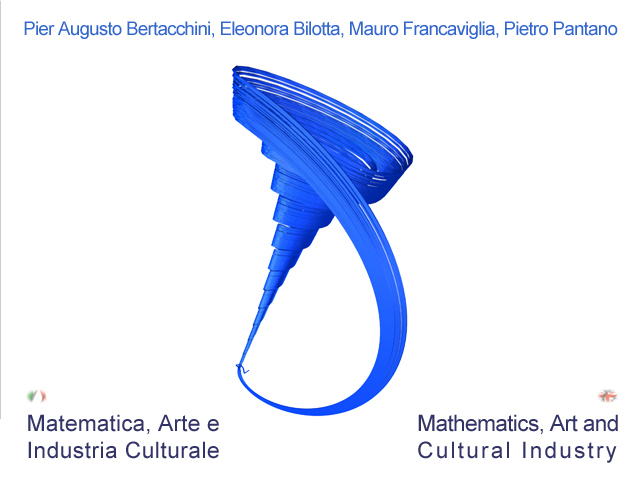 It is funny to see mathematicians busy with art and the cultural industry. Their point of departure is quite different from people that have studied art or cultural management. I expected to see somewhere a link to Escher, a Dutch artisan who put mathematical riddles into his painting. But also with the music you do not expect baroque, but some strange sounds. Well people interested in this are fully served by this CD-ROM. I was reading this morning about search engines for weblogs. 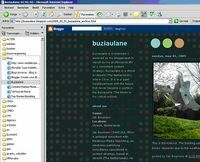 Since I started Buziaulane, I had problems finding back some weblogs. But now weblog search engines start to pop up all over the place: technorati, bloglines, feedster, icerocket, blogpulse, blogslive, topicblogs and omni-explorer. So I started testing some of them. I think I like Technorati.com the best so far. I typed in some subjects like World Summit Awards and EUROPRIX.nl and got hits and a lot of garbage. Then I discovered their exact search with quotations marks and it worked. No Google dilution of terms, but the straight links I was looking for. Geographically, there are links from all over the world from American, Romanian, Pakistani to Tunesian blogs. Mostly these blogs tell about the competition. But there is also blog which is critical of the WSA. It is the blog Amsterdam, activists and academics about my strange encounter at Incommunicado 05. But it contains also a link to a blog on SIGGRAPH mentioning the initiative. The “EUROPRIX.nl”search term delivered 20 references. I think that this search engine is going to make me very happy referencing my own blog postings. 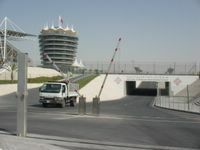 There was intensive e-mail traffic with Bahrain yesterday. Bahrain will be the host to the World Summit 2005 Grand Jury beginning of September. So now the hosts, the Bharain Government, and the local chapter of ISOC are clearing the administrative details for the arrival of the Grand Jury eminent experts and staff. I have been invited as a staff member. 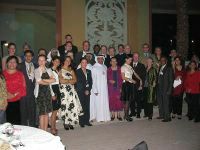 It has been through the World Summit Award 2003 that I got to know Bahrain. In Dubai in 2003 I met and befriended Waheed AlBalushi, a Bahraini by birth. Since WSA 2003 Grand Jury we have met several times at various occasions, Hong Kong, Beirut and Vienna and had many e-mail exchanges. 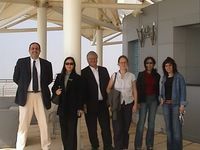 In the beginning of 2005 I was proud to be part of the jury of Bahrain e-Content Award. Now we are gearing up for the Grand Jury of the World Summit Award 2005. With the WSA 2005 I expect more entries than the 803 entries of the WSA 2003. Theoretically the batch can be 1334 products (168 countries x 8 entries), but not every country will enter 8 products. So I guess the Grand Jury consisting of 40 eminent experts will evaluate almost 990 products. So in one week the jurors will see 990 products from all over the world. Who gets such an opportunity? Of course just meeting 40 eminent experts from all over the world will be an interesting happening in itself. 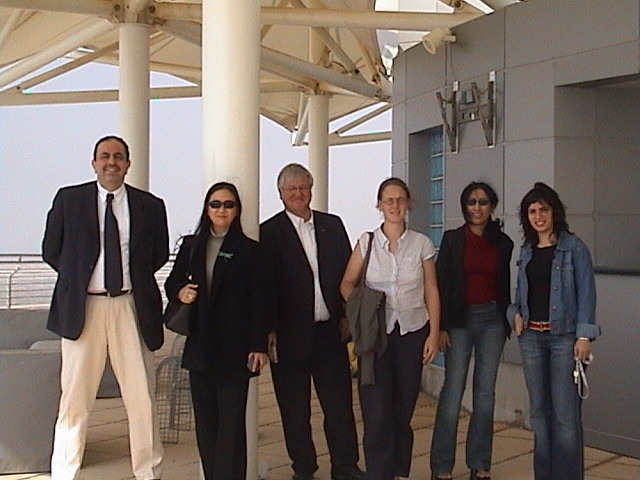 During the WSA 2003 Grand Jury in Dubai we had a real fine team. Besides working together, the jury members made many friendships. And they produced a book in 40 days (see below), which was presented at UN World Summit on the Information Society in Geneva. It was unbelievable that a band of 35 people who did not know each worked together and became professional colleagues and friends. I am anxious to see how this is going to work out this year with the WSA 2005 Grand Jury members. The book «e-Content: Voices From the Ground» presents for the first time a comprehensive comparison of e-Content and ICT policies on a global scale. It introduces 30 countries from every continent on their way to the Information Society. The book comprises a mixture of expert-interviews and research findings which describe the situation of ICTs in countries like Brazil, Gambia, Slovakia, Canada, Zimbabwe, Indonesia or Bahrain. 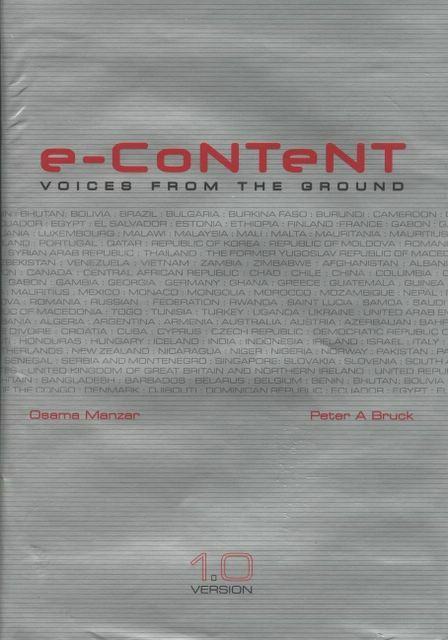 «e-Content: Voices From the Ground - Version 1.0» by Osama Manzar and Peter A. Bruck has been published by the Digital Empowerment Foundation and the World Summit Award. The book costs EURO 15/$ 10. The Dutch collecting organisation BUMA/STEMRA offers podcasters on internet a license agreement for legal music and spoken words fragments. BUMA/STEMRA offers amateurs an open agreement for 35 euro a month, regardless the amount of programs or songs, and professionals will pay 85 euro a month and 13 per cent of the turn-over. Web bureau LB Icons, better known as Lost Boys (amongst other from the Grand Prix Formula 1 races), has turned its loss position over the first half year from a loss of 2,6 million euro into a handsome profit of 800.000 euro. Great Britain and Germany with 25 percent of the turn-over each, are the most important markets; the Benelux follows with 21 percent. Since 1997 the Dutch programmer Willem Holsbergen and music lover Mark Zimmer collect copies of original but never recorded music of Beethoven. They are hunting for written fragments and reconstruct the music in such a way that it can be played again. So far Holsbergen and Zimmer have published 230 music parts. Waiting for the next speed upgrade. This week a press release was on the wire about the PowerLine technology. “The UniversalPowerline Association (UPA) announced that it has published a paper of proposed specifications entitled, "Powerline Communication Systems - Access/In-home & In-home/In-home coexistence mechanism – General specifications". The proposed specifications are intended to be the starting point for the work of standards setting bodies, including the IEEE and ETSI”. So the Homeplug technology is still alive. But when will it be available? It has been a subject since 1980. During a conference on videotext, an online precursor of internet, I heard about it for the first time. 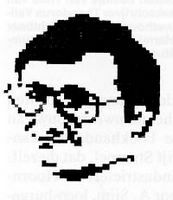 An English consultant told the audience that videotext would be a technology, which could automatically record the power consumption of a household. There was never an experiment in the Netherlands at that time and the technology never materialised. It remained a white elephant. Since 2000 the technology was promoted again. But this time there were also experiments. In Mannheim, Germany the power company started the internet service Vype. And this service is still alive; in fact it has extended its service with telephony. 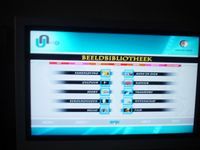 In the Netherlands the power company Nuon started the trial Digistroom with 180 households in the city of Arnhem in 2001. The maximum speed was about 2Mbps. But in 2003 Nuon terminated this trial as the technology appeared to be unmanageable. I thought that this was the end of the technology. But it is still seen as an opportunity. Presently the latest upgrade in the Dutch consumer infrastructure is ADSL2+. Versatel is using it in order to start its triple play roll-out. The company tells subscribers that 6Mbps is needed for television and 14 Mbps for downloading internet. KPN has also started with an ADSL2+ upgrade for consumers. Looking at other infrastructures in the Netherlands, the cable is more successful. The Netherlands has a penetration rate of 94 percent of the households. Cable has presented itself as a player in the broadband market slowly. In 2002 coax cable operator Cai Westland, through its subsidiary Kabelfoon, upgraded internet speed to 16 Mbps (up- and downloading). In 2003 the Finnish company Teleste announced a cable upgrade to 50Mbps; however in the Netherlands no cable company has upgraded its network for this speed yet. Since 2003 the Dutch power company Essent is experimenting with Teleste to upgrade the speed. Recently I spoke with an Essent official who told me that they are using the Teleste technology and are now going for speeds up to 100Mbps over the cable. According to a press release this upgrade should be relatively cheap, up to maximally 200 euro per household. Yet, I am really wondering how long it will take when this cable upgrade will be executed. 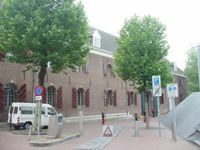 In the Netherlands, it would make an end to a long, senseless discussion between the glass fibre lobby with the incumbent telco KPN and the municipalities of The Hague and Amsterdam on the one hand and the cable lobby on the right hand. It would make competition more transparent, at last. A recent bidding procedure for a citywide broadband network in Amsterdam, from which the cable companies were excluded, felt like the Italian bank acquisition fight between ABN AMRO and bank Pop Lodi. The Dutch AA, ANWB, stops its own line of navigators Engin. In a short press release the automobile association says that it can not compete with companies like Tom Tom and Route 66. 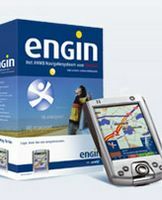 The present owners of an Engin and subscribers to the extensive version EnginYOY will be offered a solution. My speculation is a Tom Tom or a Route 66 unit. The navigator adventure has been a short term one. And having had an intensive ad campaign in the spring, the ANWB must have concluded that it was no extra to have a custom made navigator from the automobile association, while you could buy standard one anywhere. I am not sure that the price was even competitive. Besides I had the impression that all the downloading was not so user friendly. One thing that the ANWB did understood is that you could add tourist information to the navigator. As such it had started EnginYOY, a kind of electronic magazine with tourist information about Rotterdam, for example, with electronic vouchers. So let’s go to Rotterdam and have dinner in a particular restaurant and pay less with the electronic voucher. That was not a bad idea. In fact the jury of the EUROPRIX.nl 2005 did recognise this concept, executed by Bookmark, and nominated EnginYOY in the mobile category. What was the basic mistake of the ANWB? The automobile association has publishing activities next to its car services. As a publisher you should never go into hardware, if you cannot control the market. Sure ANWB did not only choose for a Personal Digital Assistant, but also a smart phone. But they should have known that they were never going to drive this hardware market. IMHO the ANWB publishing arm should have concentrated on the loads of content they have collected over the years and have made digital. They have been long enough in EU funded projects to digitise tourist and cultural information. They should have taken the role of a content provider rather than a content provider and hardware distributor. As a content provider the ANWB could make that content available through navigator producers like Tom Tom and Route 66 or directly through their own publications. Now they have lost time in the development of that content and will find competitors on its way. Pity, such a waste of resources and that at a time that ANWB is loosing members and money. In the beginning of May I wrote the following digest of an article on Rupert Murdoch under the heading Murdoch is converted!. “It has taken quite a while, but now at last the tycoon has seen the light. 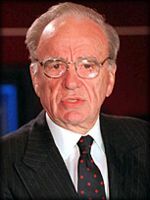 In May at a luncheon of the American Society of Newspaper Editors Rupert Murdoch, owner of more than 175 English-language newspapers worldwide, urged newspaper editors to grab on to the digital revolution, stop fearing or ignoring the power of the Web, and do more to serve the young news consumers between 18 and 34 years of age who are more and more going to the Internet for information. In his speech he admitted that he had taken unconventional approaches in television, but had been lagging behind with the developments regarding Internet. However he did not indicate what he measures he was taking to get in the league again”. By now we know, however. Having brought his editors-in-chief from all over the world together for a brainstorming session in New York in September and the public confession mentioned above, he started a new company Fox Interactive Media (FIM) and named Ross Levinsohn as President. One of his fist actions was to buy MySpace and Intermix for 580 US dollar. MySpace is a social software company like LinkedIN, e-Academy and OpenBC. With MySpace FIM bought content assets in entertainment and traffic. Is this a wise acquisition? Recently the New York Times bought About.com. This also had content assets and a lot of traffic. 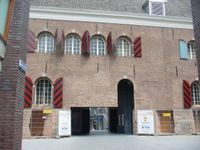 One of the assets was a series of blogs about anything, whether about my home town Utrecht or about medieval miniatures. The site has some blogs that are heavily visited, but also many that have a small crowd of faithful followers. Het gaat in feite om een site met een Long Tail. As to the social software sites I am not so sure of their success. Yes, they are hot presently, but going towards lukewarm IMHO. I hate the Monday morning mail of OpenBC, telling me my contact statistics; making me feel guilty for not actively hunting for links; hinting to me that I should become a premium (= paying) member. It is something for network tigers: please link to me than I have scored so many links. But do you get assignments this way? Yet as a closed system for an international organisation such as the European Academy of Digital Media, the Instructors’ Network or the jury of the World Summit Award it would be great. In the past days the major Dutch banks and the national postal service TPG, part of the TNT Group, made a lot of rumour about the digital mailbox for electronic invoices. So the client will not get any invoices or bills through the letterbox, but will get a separate mailbox for those financial statements. The TPG will coordinate the mail process and the banks will coordinate the payment process. It is unbelievable that it has taken so long for the postal organisation and banks to get together. Electronic banking in the Netherlands is not new. 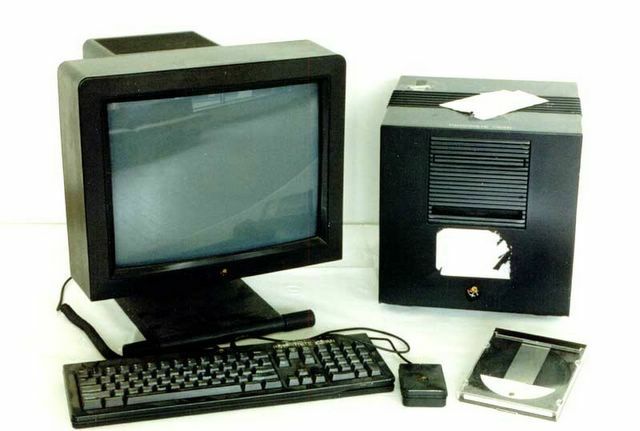 It was possible since 1986, when the Postbank started electronic banking through the videotext system after a long trial. I joined the first electronic bankers of the Postbank later that year, when I returned from Great Britain, where we had lived for more than 3 years. I have never been inside a post office to pick up money. It was freedom at last: no more long lines, no more moody people behind the counter. I still bank with the same bank and their electronic system has gone rusty a bit. 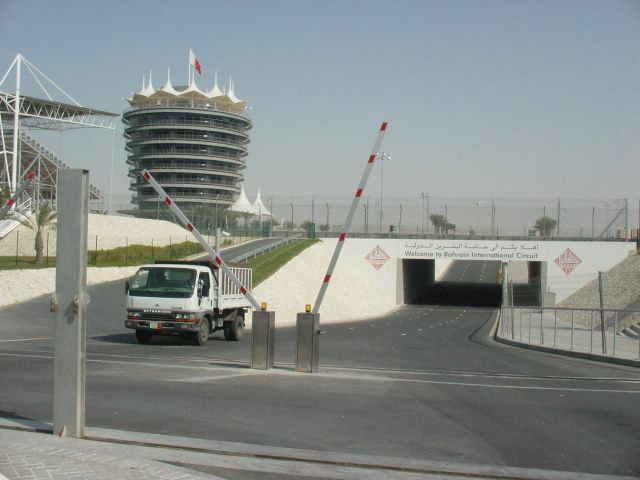 They do not have a 24/7 electronic transfer service, but transfer orders at night through a private system. It is not ideal, but at night I mostly sleep, so it does not bother me really. The bank instituted Internet accounts some years ago. They yield more interest, but are also more primitive. In this case you can transfer money 24/7, but the money will be in the account two days later. So there is no real time transfer or even one day transfer. This while other banks do have real-time transfers during office hours. But now at last the banks are going to streamline the consumer bills at last. They are most likely looking to save costs. They could have done this years ago, but only start the process now. The banks have set up an alliance with the Dutch postal service for this service. TPG had already an e-mail service for bills, called Privver. TPG started the service up in 2001. People could register themselves electronically without any identification, but had to write a physical letter if they wanted to abandon the service. In its first months 30.000 consumers subscribed, but then the registration stagnated and did not reach the objective to have 200.000 subscribers by the end of the second quarter of 2002. At this momemnt Privver claims to have 130.000 subscribers; it would not surprise me if the database is strongly polluted by ghost subscribers like me, who did not use the account any longer, because of the limited possibilities, and had to terminate the subscription in writing. But now at last the banks are going to give an impulse to streamlining the delivery and payment of the bills. Rabobank signed for the system already last year and now major banks are following the example. In finances you can have brilliant ideas, but banks dictate the pace. Wow, this is a surprise, this news release. Versatel will be acquired by the Swedish telecom operator Tele2 and the investment company Apax. After the false press release of last week and the failed talks between Versatel and Belgacom, comes now in the hands of a price fighter. This morning Tele2 and Versatel held an webconference. The shareholders of Versatel are making a nice profit from this acquisition. Tele2 has now gotten its own network in the Benelux (Belgium, Netherlands and Luxembourg). Apax will acquire the German part of Versatel. And John de Mol makes another nice profit on the sales of his majority share (42 per cent). Only thing I wonder about it how the Dutch Soccer Association is going to react on this news. Versatel has an agreement with the Dutch Soccer Association to broadcast the Premier league in the next season. Versatel has promised to distribute the soccer games through it ADSL2+ network and aims at 100.000 users. So far the campaign for ADSL2+ has gone slowly and the Dutch Soccer Association might consider the acquisition by Tele2 as an occasion to break the contract. John de Mol, chairman of Talpa Investment and the Talpa television and radio stations makes it clear that he is not going to buy Versatel in order to have an exclusive internet and television distribution channel, as has often been said. It is clear that John de Mol can separate investments and interests in his own company activities. He stands to make a handsome 475 million euro from the shares with a nice profit of 100 million. After the acquisition of Versatel by Tele2, the German part will be split off and acquired by Apax the investment company for 565 million euro. Of course this company does not buy it just for the heck of it. It will have undoubtedly some intention to make it lean and mean and sell it off or merge it with one of the telecom companies it possesses now like Kabel Deutschland, Primakom and Tropolys. Versatel bought the company, which is mainly active around Berlin, some years ago. It was a strange buy as the networks were not close to each other geographically. Tele2 is a Swedish telecom operator, which has grown over the back of incumbents throughout Europe. With pre-carrier, private virtual mobile networks and internet it has built up a company with a turn-over of 43 billion euro. For Tele2 the acquisition will be a consolidation in the Benelux market and a larger share. Besides there will be synergy between Tele2 and Versatel as Versatel has its own network. Of course the agreements with amongst others KPN and its recently acquired mobile company Telfort will not be renewed, which will drive down the share price of KPN. As for Versatel itself, a lot of things will happen. The name Versatel will disappear from the Amsterdam Exchange. After two or three years most likely the name of Versatel will disappear and be brought in line with Tele2. As Tele2 has learned the hard way to get its administration in order in 2002, being hunted by the Dutch Consumer Association and the television program Radar, it might share its experience with Versatel. And Versatel can use a marketing lesson or two from Tele2. Just an example. Versatel has SOHO clients with Business all in agreements, which come down to an internet package and ISDN ADSL (1052/254). When it launched the ADSL2+ service some clients wanted to change to the higher speed. Clients were sent from the business desk to the consumers’ desk. They would have to change from ISDN to analogue through KPN. Now months after the announcement of the offer Versatel still does forward an offer to the SOHO clients. No wonder they will not reach 100.000 connections by the end of the year. Unless Tele2 tells them the trick that the internal organisation is completely irrelevant to the customer and the present base of business customers are also potential consumers at another time of the day. News from the digital paper front. Last year Philips showed its digital paper. It was impressive as it was usable for reading in the sun. A handicap was the black and white representation, no colours yet; it was neither bendable, yet. Philips developed this digital paper together with E-Ink. (pictures; long version (2.26 min. ); short version (1.25 min.). Fujitsu showed at the Fujitsu Forum 2005 on July 14 and 15 at Tokyo International Forum the film substrate-based bendable colour electronic paper featuring image memory function. The new electronic paper features vivid colour images that are unaffected even when the screen is bent, and features an image memory function that enables continuous display of the same image without the need for electricity. 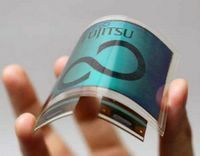 The thin and flexible electronic paper uses very low power to change screen images, thereby making it ideal for displaying information or advertisements in public areas as a type of new electronic media that can be handled as easily as paper. To me digital paper will be a break through in usability. It will be used for screens on televisions, PCs, PDAs as well as smart phones. Readeability will improve a lot, at last (think of just reading a PDA in sunlight; it will be a real advantage over the present film screens). For long it was also portrayed as a new carrier for electronic books and newspapers. For paper I see chances, but I have doubts about e-books. Having seen Sony put in digital paper in a Japanese version of the Librie and using the conventional business model, I am not convinced e-books (hardware and a file) will be a single-purpose, independent information carrier. I believe that I will download e-books just as songs on my smart phone. But by 2015 we might read the newspaper on digital paper, but without videos. Tank your news in the morning from your wireless connection! The book E-Content - Technologies and Perspectives for the European Market edited by P.A. Bruck; A. Buchholz; Z. Karssen; A. Zerfass addresses the question how content industries change within a digital environment and what role information and communication technologies play in transforming the competitive landscape. Order through Springer Online. It was already possible to register yourself against all kind of pushy marketing actions on internet or by telephone in The Netherlands. Now the organisation handling this self regulation has gotten new bylaws and an independent chair person. Members of the Dutch Dialogue Marketing Association (DDMA), being market research companies, call centers and the webshop association, are obliged to use databases with names of people, who do not want to be bothered. The Dutch media company Talpa and telecom operator Versatel were the victim of neglicence by journalists. The Dutch wire service ANP and the financial service Betten got e-mails saying that Talpa and Versatel were negotiating with T-Telecom. Without checking with the spokespeople of the companies they published the content, which led to a rise in the stock quotes for Versatel. Had the journalists read the e-mail properly, they would have discovered that the mail had been sent through the anonymous e-mail service Shitzooi.nl. While Dutchretailers are complaining about people not spending money, webshop owners show a dramatic rise in revenues and confidence. Coolblue has seen its turn-over grow in the first half year of 2005 with 120 per cent from 6,7 to 14,7 million euro with 12Dutch and Belgian webshops. Computer webshop TakeitNow has grown 47 per cent up tot 2,8 million euro in the first half year of 2005. And book and DVD shop Bol.com received 17.000 applications for the new Harry Potter book. The confidence in webshops is growing, according to the Thuiswinkel association of webshops. More than 24 per cent of internet users know of the Thuiswinkel, know its label and have confidence in the certificate. The Dutch ministry of justice is said to be building and testing a telecom and internet directory with e-mail addresses as well as fixed line and mobile telephone numbers. For this exercise, telecom operators and ad ISP will be obliged to offer the numbers and names. Many of the ISPs like to wait till the outcome of the European discussion on the obligation of storing data for justice inquiries. Yesterday Nedstat, European leader in website analytics, announced in a press release that it “has sold the activities of its free website analytics solution Nedstat Basic to ad pepper media. Ad pepper is a leading interactive and direct marketing solutions and services provider that is headquartered in Nuremberg, Germany. The sale of Nedstat Basic allows Nedstat to focus on the expansion of its advanced website analytics products. The transaction price consists of Euro 3 million in cash plus a limited earn-out component. This significantly strengthens Nedstat's equity and cash position. Nedstat Basic was Nedstat's first product when the company started in 1996. The free service has always been popular with homepage owners. Throughout the years its functionality and usability have been continuously improved and the number of users has consistently grown. Today, Nedstat Basic is actively used by more than 600,000 homepage owners on more than 1 million non-commercial websites around the world. Ad pepper media has ambitious plans to develop Nedstat Basic further into a next generation solution. It intends to rebrand Nedstat Basic and focus on ongoing technology and feature enhancements for the users”. Nedstat is a Dutch company by origin which has grown very fast. I remember that I visited them in their early days in Amsterdam, where they had their offices; nothing fancy at that time. They had just started out with Nedstat Basic. And as usual everyone with a personal site wanted to have the free counter. Now they claim that 600.000 homepage owners use it on 1 million non-commercial websites. Which might be or not be true. The question is however: how many ghost users do they have. I just checked the site with my array of passwords and noticed that I have at least 4 accounts as homepage owners. And I am pretty sure that I am not the only ghost user. But that is a fine task for ad pepper media. As they are based in Germany and have big plans with the free counter, I take it that they will clean out the accounts ‘tuchtig’ (profoundly). I wonder what ad pepper media (I had to correct the name as I kept writing add pepper media) is going to do with this tool. As their company name implies, they will likely start to use the tool as a vehicle for advertisement. You can use the free counter, unless you allow advertisement. As Nedstat Basic did not have this, many non-commercial site-owners were happy with the tool. But with ads in the tool, will people not turn to many other free counters? Just a look at Google yields a list of free counters with fancy names such as shinystat.com, rightstats.com, rapidcounter.com. I hope for the Nedstat company that this does not happen in their limited earn-out period. For 3 million in cash for a free tool is not bad, but extra payment for transferring a list of free users is always welcome for a company/owners. Holiday has started in The Netherlands, so the number of telephone calls drops. Besides it is fine weather. Today it will be over 25 degrees Celsius and I can work in the garden as my WiFi relays with our computer network. It is really relaxed. I will be working in the next two months on finishing a book on the history of new media. It is a project which is now in its fifth year. In 2000 I was contributor to the Dutch newsletter Telecombrief. In that year it was 20 years ago that the first public online service was launched in The Netherlands. In 20 columns I described the history of online in The Netherlands. This inspired me to write a book on the history on online in The Netherlands; even more so as many kids online think that online came around with Internet. I aimed to have the book published on August 7, 2005, as it would be the commemoration of 25 years online in The Netherlands. Not that anyone or any company is busy with this historical fact. Not even the incumbent telecom operator KPN, which launched the Viditel service in 1980, has prepared any festivities. Due to all kind of assignments I did not finish the book yet. So there will be no book on August 7, 2005 to commemorate the launch. But I am still set on finishing the book. It is ready for more than 60 per cent. The book intends to give an overview of 25 years online in The Netherlands. I roughly divided the book in four parts: Stone Age, Videotex vs ASCII, Frozen Online and Convergence. The book will be illustrated and I have some real nice pictures, like the one of the first webcomputer, a Next machine used at CERN in Geneva, and one of the first webpages produced by Arie van Praag, who was working at CERN. So I will be working on the book for the next one and half month. And I will have my own celebration with you as I intend to write a compact online history of The Netherlands in English for you around August 7, 2005 and let you have a peep of the illustrations. Of course I will continue my blog daily. Brein, the Dutch IPR police on behalf of print publishers, the music and movies industry, has lost and Brein has won. Brein had requested five ISPs to deliver personal data of specific clients, who had used the Kazaa music exchange program. The ISPs refused to identify the clients. As Brein can not summon the clients to stop illegal downloading of music and films, it had to go to court to force the ISPs to deliver personal data of the clients. In his ruling the judge states that under civil law the judge can force ISPs to deliver the personal data of clients. However a request of Brein should fulfil certain conditions. In this case, Brein did conform to these conditions, the judge ruled. Brein had assigned Media Sentry to discover the shared files of clients of the five Dutch ISPs. But as the company could not assure that personal files had been respected, the company might have trespassed the Dutch privacy law. On this account the judge threw out the case. It is clear that Brein will eventually get access to the personal data of clients. However, Brein will have to find another way of acquiring these personal data. Brein director Tim Kuik does not agree with the judge and says that his method was legal and acceptable and did not breach privacy. He will go to a higher court. Altogether the principle has been agreed upon by the court, but now the proper method will have to be formulated. This test case comes a month after that US high court ruled that ISPs have to hand over the personal data of music and movie exchangers. As such the Dutch ruling is in line the ruling of the US high court. It is on the front page of yesterday’s Het Financieele Dagblad, the financial daily: the acquisition of the US company IMS Health. 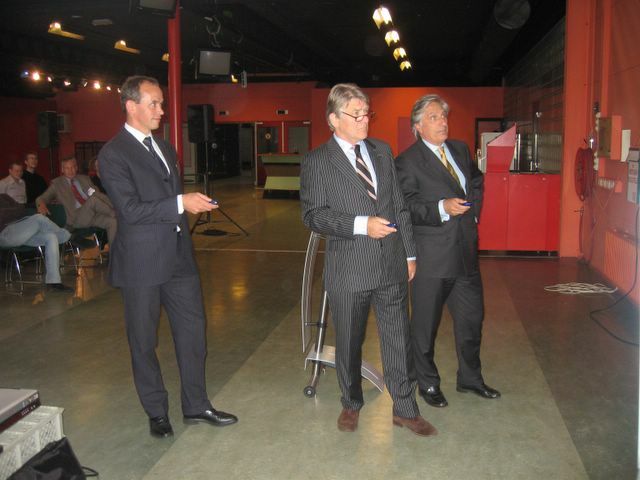 Next to the article is a photograph of CEO Rob van den Bergh, fencing question during the press conference. It is the latest feat of VNU since it started its internationalisation policy in 1979. VNU came about through a merger of two magazine publishing companies in 1964. A magazine publisher in the southern part of the Netherlands with a Roman catholic signature merged with a magazine publisher was located in Haarlem, the western part of the Netherlands. 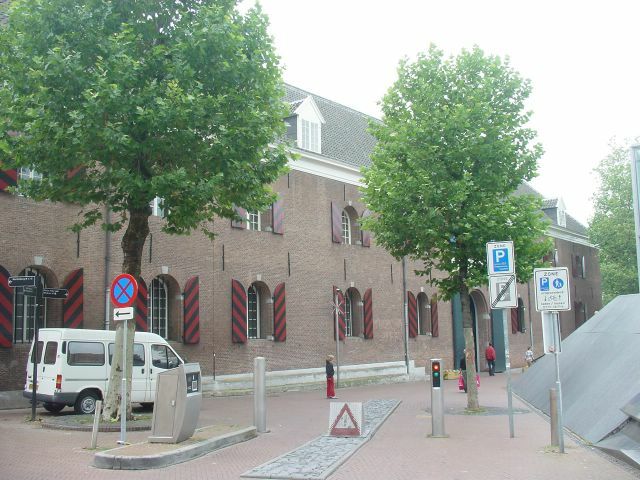 The new company, VNU, United Netherlands Publishers (a rather misleading company name), based its headquarter in Haarlem. In the sixties and the seventies the company grew in magazines and books. 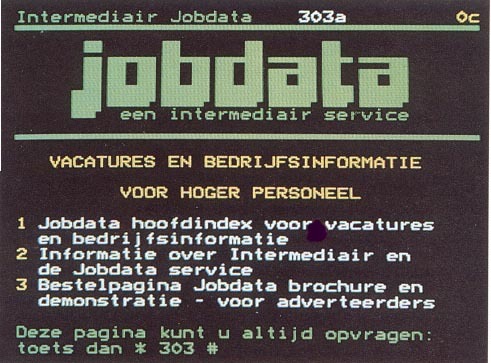 In 1975 it bought Intermediair a job-ad magazine for academics. On the back of the job-ads scientific articles were published. It was (and in fact still is) a free broadsheet. This was the beginning in business magazines such as computer magazines. In 1979 the business publications division did its first foreign acquisition in the United Kingdom. It acquired the computer publications of Haymarket. In the meantime the company was set on internationalisation. In 1980 it made its first jump to the US and bought Disclosure, a corporate financials information service. It was also the time that personal computers and database publishing became en vogue. VNU went with the stream and started up a kind of a greenhouse company, VNU Database Publishing International (VNU DPI). The company officially started on January 1, 1980. 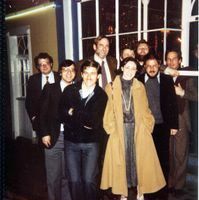 A provisional team was in London in December 1979 to orientate themselves on the Online Conference in the Novotel in Hammersmith. The company was a mix of a new media company and innovation center. Managing director was Jay Curry, the father of iPodfather Adam Curry. The company was active for two and half years and the remains integrated in Intermediair. VNU DPI was the service center of a job vacancy service of Intermediair, Jobdata. It ran for five years and was a popular service. But in 1985 Rob van den Bergh, then managing director of the Intermediair company, killed off the service as it was costly and no competitor to the print weekly. In the meantime VNU bought business publishers left and right in Europe and sometimes in the States, but a real turn in policy came after the acquisition of ITT World Directories, a big buy in 1997 under Rob van den Bergh. After that VNU started to change its role from publisher to marketing information provider. VNU Magazines in The Netherlands was sold to The Finnish publisher Sanoma and with the money AC Nielsen was bought. Last year the directories were sold and now IMS Health is acquired. In the meantime VNU has changed from a combination of two provincial publishers to an billion dollars American company, headquartered in New York. For many people who worked for VNU in the Netherlands it has been quite a change to see their company go abroad and being managed by mainly foreigners. One of them left the company last week after almost 25 years of service. She was working in Haarlem the former HQ base of VNU. It has been a complete cycle for her going from the magazine division to the business publication division, from Dutch publications to international contact. VNU is almost full cycle from being a Dutch company in becoming an American company; just another name and in time an American to succeed the present CEO. The workshop on Interactive Storytelling in Salzburg is over. The participants are leaving today and are leaving their evaluations behind. It was the first workshop organised by the Instructors’ Network in the framework of VociNet, a project funded by the European Commission programme Media. The objective was to get multimedia instructors together and to compare and build curricula. It was interesting to see that there was a mix of participants. There were multimedia instructors from universities and colleges, instructors from companies and students, writing their thesis. Personally I was surprised by the corporate instructors as we had not targeted them as audience. But the organisers are very happy with them as it showed that there is a potential in the corporate market. Besides the organisers were blessed with very good presenters such as Brunhild Bushoff, Eku Wand, Stefan Goebel, Massimo Catalfo, Elsa Pecourt and Patrick McTaggart, who had something to tell or in the case of Christ Hales had something to entertain the participants. Yes we had almost one presenter per two participants. So it has been very intensive. Yesterday afternoon the participants were divided in groups and asked to start building on curricula. The discussions were sometimes highly academic, but sometimes also on practical points. How do you market a course on digital storytelling and what do you do when you have the students in the course. Do you need a reader, a book, a database with examples, software to put interactive stories together? In short, a lot of questions will be addressed. A report on the workshop will be made as well as a reader of the lectures presented and workgroup reports. It will take some time to structure it and get the comments of the participants on the results. But I am sure that some courses in the next academic year will benefit from this workshop. The next VociNet workshop will be in Tampere, Finland, on November 10-12, 2005. It will be held around the time of Mindtrek, the big multimedia festival with conferences, workshops and international business meetings. The subject will be on production. After that we will have one in Milano and the last one will be in Vienna on March 3-4, during the EUROPRIX Top Talent Award Festival. For me VociNet has become a brand already for workshops and materials intended for multimedia instructors. Yesterday it was a beautiful day with sun, but towards the evening dark clouds came up. Today it is raining or better pouring in Salzburg. We started the workshop with a presentation on the experience of the X-Melina project, a workshop on cross-media. This project had an e-learning course, a workshop and a final project. In this workshop attention is focussed on the e-learning course. In X-Melina IBM’s Learning Space software, based on SCORM, was used and some 100 lessons prepared. The system offers the tutors to produce short lessons of maximally 30 minutes; the system follows the progress of students. In the case of X-Melina the tutors and students were spread all around Europe. The experience of X-Melina with the e-learning system was not something to write home about. Eventually 100 lessons were mounted, but they lacked real coordination in the content. Students could tap their way through the lessons without really learning. All in all, the experience of setting up an e-learning course was not an overall success. But it was certainly an experience. After this discussion Vladimit Burcik, the Director of the Academy of Communication in Slovakia demonstrated a authoring system for the tutors and a rendering system for students. It looks good and is not as limiting as Learning Space. It more natural to put in lessons and can also be illustrated. Besides thre is a possibility to put in video of an instructors, next to the text and illustrations. Christopher David Bennewith, programme leader of multimedia really at the University of Wales in Newport (GB) showed a beautiful program for storytelling, called Virtual Puppeteers. 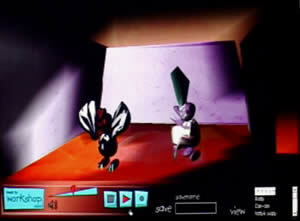 Virtual Puppeteers is a networked digital puppet theatre. It allows children in different locations to design their own 3D puppets and collaborate in an online stage space to create their own plays. It looks great. Chris would love to have a world network of primary schools connected with each other through VoIP. That would be great indeed. The participants will break up in groups now in order to discuss developing curricula. They will report this afternoon on the discussions. Hopefully it will yield some pointers for collaboration. Chris Hales really entertained the workshop participants with a performance of interactive films. It was great to see him getting the participants to react to a movie of singer and have the participants singing and shouting in order to get a glass broken. I have see him do this before in Prague and Tampere and again it was a success. But it was also good to see that he progresses over the years. Using films he had made in the past his new toy is tracking and tracing, for example with lights. So his movie Jinxed (everything goes wrong) was now updated with a track and trace interface. In the meantime Chris has built up a catalogue of interactive movies for his presentations. Today we are getting into deep water. It is tools’ day. So for the techies among the participants it will be a great day. Although the techies might have their own preference such as Director or Flash, they also like to see other tools. Stefan Goebel of ZGDV had a very interesting presentation of storytelling tools. He showed an interactive story editor. 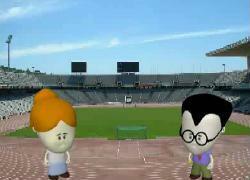 He showed also Servingo, in a service which is used for the World Champion Soccer in 2006 in Germany. It is a small editor which produces a template in which you can put photographs of a soccer stadium or other personal photographs. The whole production can be done with a mobile. It is basically a clip with photographs, which can be sent as a file to friends. It is a nice idea, the result is simple, but I believe in this type of small services. But Stefan is involved in a lot of storytelling project. Then some more tools pass. Korsakov is one of them I still start smiling when I hear the name of the package. It is not exactly a commercial name. But with the package you can make an interactive production of stills or movie clips in five days. Another package is DADAdoc, developed by Massimo Catalfo. 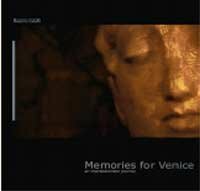 He produced as a student Memories for Venice and was a category winner in the EUROPRIX Top Talent Award. Also the big EU project INSCAPE was explained. This is a very complex project which will deliver storytelling tools. In the afternoon Eku Wand took the floor and explained the making of the Berlin Connection, a game, an interactive thriller which is located in Berlin. He also did Berlin im Untergrund – Potzdammer Platz. His productions have a real signature with a real audio and video opening. Eku is an interesting guy. He was one of the founders of Pixelpark in 1991 and produced beautiful stuff. Presently he is a university teacher. Today I am in Salzburg, Austria, for a workshop. It is the first workshop of a series of four workshops designed for teachers, which will be held throughout Europe (Salzburg, Tampere, Milano and Vienna). It is an initiative of the Instructors’ Network, a subsidiary of the European Academy of Digital Media (EADiM), and is supported by the EU Media programme. The first workshop is already a success before the start. There were more applications than the organisation could handle. In the end 20 teachers were allowed in.And they came from all over Europe, from Estonia to Ireland, from The Netherlands to Bulgaria. The staff for the workshop consists officially of 9 tutors, but due the London terrorist attack one tutor is unable to come. But we still have a fine staff together with people like Eku Wand , Chris Hales, Stefan Goebel, Elsa Pecourt, Massimo Catalfo and Patrick McEntaggert. All these people have been involved in productions from interactive movies to games. All together we have an interesting mix of people and backgrounds. The program starts at 14.00h with a welcome speech by Peter Bruck. After that we start with a review of the workshops that have been held in this area: INYOP and Saga. I am interested to hear about Saga as I only had a look at their site. After the coffee break Chris Hales will start with his interactive films. That will sollicit a lot of laughs I am sure. Yesterday, I reported on the party at the Media Park in Hilversum. It was interesting to be there, as it has become a battle ground. A week ago that became most clear. On the June 27, John de Mol presented the programming for his new TV station, while at another part of Media Park the state secretary for Radio and TV Ms Medy van der Laan presented her plans to re-organise the public broadcast system. John de Mol presented his TV station. The press conference was live on internet and drew without real publicity 35.000 viewers. The present name of the station, Talpa (in Spanish: mole) was not the preferred name. Talpa should have been named Ten, but this name is claimed by its competitor SBS. But the company’s logo exists now of a 10 key telephone pad. The TV station will be the first full digital station and cross media provider, broadcasting on TV, satellite and internet. In content the station promises more of the same (Big Brother, Expedition Robinson). Having bought out all star presenters of the commercial and public networks, the faces will be familiar as well. So what is new? The way the television station works. It will not use tapes, but will be a networked TV company. And the TV station will be available on internet and on satellite. Especially the internet outlet will be interesting as it will be used cross media platform. It looks like the words of my French friend Damien Marchi will finally be embodied: a TV broadcast will become an hour long advertisement. Big Brother will most likely be the shining example of this. Daily just a report on the events in the house, with a menu card for internet and telephone options. At the other side of the Media Park RTV state secretary Medy van der Laan was explaining to public broadcast employees, that the public broadcast system will only get half of the budget it has now. This means that public RTV organisations may operate more commercially, while highly appreciated programs will have to disappear. Of the 17.500 employees working in the RTV industry in Hilversum some 1.000 people will be dismissed, while the 3 billion euro turn-over will diminish. In the end it might also mean that one TV channel and two radio might be abolished (this would not be a real disaster). On the other hand Medy van der Laan indicated that the public RTV organisations will be able to work with internet and other cross-media platforms. It is clear that the RTV industry is in turmoil and will have to start thinking about new ways and adapt the cross media platforms. With the numbers of TV viewers going down, the RTV companies will have find new program formats, cross media and interactive TV. Broadband users are moving from TV to internet. According to Telecompaper, on 31 December 2004, ADSL accounted for 58 percent of the net broadband connections in the Netherlands, whereas cable accounted for 42 percent. Broadband penetration per household increased to 44.8 percent at the end of December 2004, up 17.3 percent compared to the penetration rate at the end of 2003 (27.5 percent). Telecompaper estimates that the Dutch broadband market will grow its customer base by 40 percent in 2005, to approximately 4.4 million broadband connections in the Netherlands, representing a household penetration rate of 62 percent. So RTV organisations will have to more creative, work with cross-media and prepare themselves for broadband (ADSL is only the beginning; just wait till glas fibre comes in fashion). It was a small party at the Dutch Media Park in Hilversum. The Media Park is the heart of broadcasting industry in The Netherlands; all facilities for radio and television can be found there and many radio and television are based there. Some 8 start-ups are now operating there. And there are some innovative, some curious and interesting companies among them. - House of Secrets, an animation studio. - KingContent, a content provider with a cross media hit for young fathers- Vivesta, media flow developers. - File-Reg International, online registration company for ideas. - Dagjetelevisiemaken, an entertainment company offering parties a day program of producing a television show. - Beeld, an audio-visual company. - Stoneroos, an interactive TV company. - Wunderworks, an interactive, wireless and multi-user screen company. So far the organisation has had a failure. One company, an online recipe provider, has gone bust. When I was told by a municipality official about the start-up company, I told him it would not work, knowing the margins in the production of cook books, the occasional use of a cook book, the nice to know urgency of the information and the low advertisement will of food producers. I should have made a bet with him for a beautiful bottle of wine. 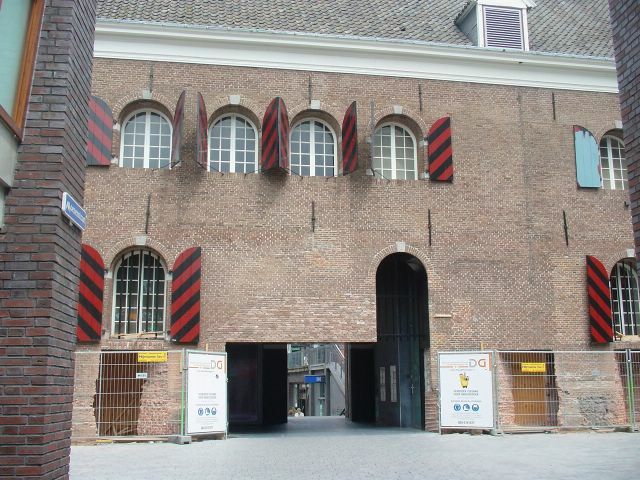 The party concerned the opening of a joint venture between the incubator iMMovator and two colleges, Hogeschool INHolland and Hogeschool van Utrecht. Together they set up a work place where students can work on assignments for companies. In their advertisement they profile the work place as the innovation link between education and media company. At the party the work place was baptised with the cryptic name MP4.5. The work place is located in the middle of the Media Park, a beautiful spot to maintain contacts with media companies. Two teams of students showed their projects. One team had produced a back-office for music download services with Microsoft Media Center. The other team had set up a location based service with Bluetooth. The projects were not spectacular, had bad usability (use of fonts and colours) and lacked thorough research on location based services in the Netherlands. But the students will undoubtedly learn the serious side of business. Escalators go up and down. But the escalator of a free internet site can only go down. That was the lesson which the daily newspaper BN/De Stem in The Netherlands learned over the past 10 month. Yesterday the editor-in-chief announced that it was going to remove all barriers from the site. It was no use to ask money for the site, he concluded. The revenues were small, the traffic to the site diminished and subscribers even cancelled their subscription. So the newspaper has to increase revenues from banners and advertisements. The sunny side is that advertising on internet is on the increase. It must have been a hard lesson. These 10 months must have been a hard lesson. Should the staff of BN/De Stem have known better? In my view, they should have. The escalator of a free internet site only goes down. Besides, the staff should have known that a regional newspaper is not the Wall Street Journal. But lessons are hard to be learned. - auction sites based on classified ads. In the meantime all of the models have been tried and not many have been a success. - Banners and advertisements is a slowly growing sector, but still they do not pay for the sites. - The electronic version of the newspaper has come around rather lately. They are like PDF papers. Once electronic paper comes around and is accepted this type of newspaper will replace the printed version. I predict that the change-over will start in 2015. - Personal newspapers have not really been tries. In Belgium and the Netherlands there have been attempts to offer a personal newspaper made up from articles from all national newspapers and based on a personal profile. Only in Belgium it works and is paying its way. But such a model can only work in a small country. - Archives have been not been a real source. Partly this is due to the newspapers themselves as they think that their customer only wants their newspaper information. Someone consulting the archive of a newspaper does not care whether it is the archive of a particular newspaper as long as he finds the information. So a special service like Reed Elseviers’ Nexus should be marketed by the newspapers. - City guides. Wegener was in the right position to build city guides, but they did not really go for it and spent the money on other models. - The community sites were a hot item in the late nineties. Internet had been introduced in The Netherlands with the model of the Digital City in Amsterdam. In 1996 Maurice de Hond got the board of Wegener to support his model of digital cities and it became a failure. Some million guilders further and a lot of internal hassle, the communities folded. Maurice de Hond had left already by that time for greater things, the incubator Newconomy. - Specialty internet sites like movies and books have come about, usually in collaboration with other sites. - It took a while before newspapers understood, that putting up classified ads was not good enough, but that internet sites were capable of transactions. So classified ads had to be turned into an auction site. PCM in The Netherlands participated in such a site, but this one folded within a year. De Telegraaf has now its Speurders, but they lost out on Marktplaats.nl, an auction site bought by eBay for 125 million euro. I think that I should trace Beate Crombags and after 10 years we should start to map the lessons learned. Are we heading for a split in Internet? Recently members of the Dutch delegation to the World Summit on the Information Society (WSIS) in Tunis as well as other people involved in the WSIS met. Looking over the agenda for WSIS, two items passed: internet governance and the financing mechanisms for ICT projects in developing countries. For the issues of financing mechanisms solutions have been discussed in the preparatory meeting Prepcom 2. In the meantime a Digital Solidarity Fund (DSF), outside the UN framework, has been created open for interested stakeholders and created for voluntary contributions. DSF is an addition to the existing financing mechanisms. Personally I am wondering who will come of the fund. I am not such a believer in this type of constructions. So far the cities of Lyon and Geneva as well as the Basque government have expressed support. But when will Bill Gates come in with a bag full of money? The other item was Internet governance. This is a hotly debated issue. Internet is a spin-off of military network ARPA and later the National Science Foundation (NSF). So it has been financed in the past by the USA government. Now the governing body is ICANN, incorporated as a not-for-profit corporation in California and by Memory of Understanding (MoU) linked to the US government. In the first WSIS conference the issue of internet governance came up and was not solved. The European Commission had indicated that it would like to see the internet governance under control of a supra-national body like the UN. Now that Tunis is nearing the EU has published a communication Towards a Global Partnership in the Information Society. In the communication the EU expresses its wish for a new cooperation model. This model should not replace the existing mechanisms and institutions, but it should introduce a new public-private cooperation model to the sustainable stability and robustness of the Internet by addressing appropriately public policy issues related to key aspects of Internet governance. So far this was also the point of view by the Working Group on Internet Governance (WGIG). A report from WGIG was due to be published on July1st, 2005; however no mention is made on it on the site. On July 18th, 2005 the report would be presented to the public. Is something going wrong? It looks that the US is interfering in the discussion. Despite the nice words on the ICANN and the MoU between the ICANN and the US government, it has become clear that the US government like to keep control over ICANN and the basic 13 root domains of Internet. This sparks of course the speculation that internet will be split in national domains, which might be gatewaying with the US dominated internet. So the march through the institutions will continue. July 18 will be an important date as the WGIG report should be presented. Up to August 15, there should be time for comments. From September 19-30 Prepcom 3 will meet in Geneva and discuss the WGIG report and the EU memorandum. However, the question will be whether the US government will change her position. On Friday July 1st, 2005 I was one of the guests of Mobillion. The company celebrated its 5 years of existence and held a house-warming party, as they just had moved in another office building in Ede, between Utrecht and Arnhem. 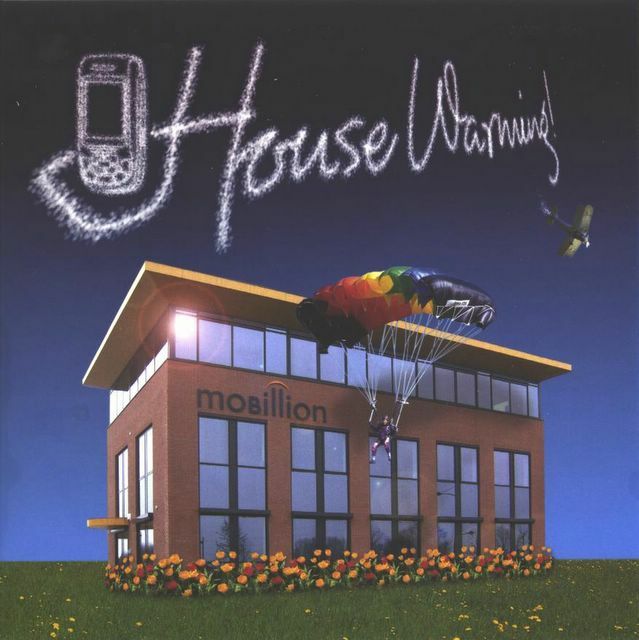 Mobillion is an interesting company. It started out as a company for mobile phone entertainment with ringtones, logo’s, chats and games. The company has De Telegraaf, a Dutch newspapers with the largest circulation, and SBS, a television company as shareholders. The management exists of Jan Looijenga and Theo Kampschreur and since a few months also the multimedia veteran Fred Kappetijn. I know Theo Kampschreur from way back in the eighties when he was involved with Fred in cable videotext, a system working on tones from the fixed line telephone. They also were involved in Teletext services. 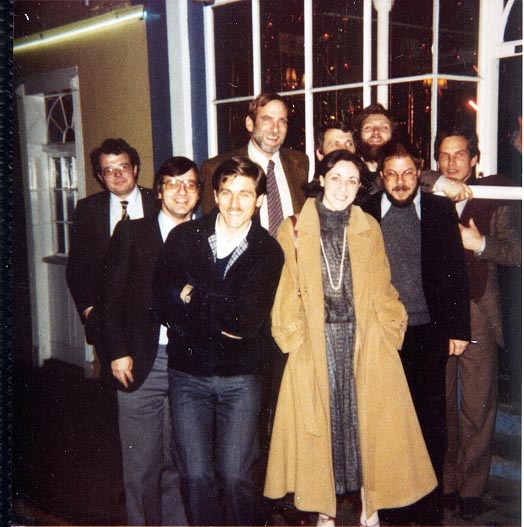 Of course, people from that time were also present like Geert Kemme, probably the first new media lawyer in The Netherlands, and Floris Kolvenbach, whose company built an image and movie bank as first provider. Also present was Jan Bons, who designed a graphical tablet for videotex in 1981. Be it of a later generation, Suzanne Rakels, with whom I worked for the newsletter Telecombrief, also attended the house warming party. (It sounds stupid, but I forgot to take my photo camera along, so I cannot show pictures of the gang). In a rather rumbling programme, the company presented its present state of art with services for youngsters like Sugababes, their cooperation in codes of conduct for mobile phone providers and their plans for the future. For this last item multimedia veteran Fred was asked. Since a few months he is responsible for broadband services in the company. Theo and he told the audience that Mobillion was linking up mobile with internet. This sounds curious of course as the company has always had a presence on the internet for its ringtones and logo’s with Mobilette. But the company had never actively developed internet services and certainly no broadband services. But Fred had started out to make the mind shift in the company and fill it in with a concrete service. He gave a peep of the service they are about to launch. It is a interactive televison service for youngsters, based on the formats and technology of the Digital Magics Group in Milano. They launched on April 27, 2005 a morning show of channel Rai Uno, using the Mycast platform to allow viewers to call in with their video phone. And earlier they had developed for Telecom Italia’s broadband portal Rosso Alice, a community channel. It includes a 24-hour video chat community, with local 'heroes' broadcasting their own shows, but also offers eight hours of live television per day. During these programmes, those with a video-phone or webcam can interact with the TV hosts, sing songs, tell jokes, provide cinema reviews, etc. The caller’s video image is visible on screen, next to or behind the hosts, who sit in a Flash-produced digital studio. In a country like Italy such a concept is interesting. There are almost 1 million plus owners of 3G mobile video-phones, so the show can also be followed on these phones as well on broadband. With Sugababes as a service this interactive television can be very interesting for Mobillion. So Mobillion and Digital Magics have closed a deal to set up a new company Bibop TV in order to distribute interactive television formats throughout Europe, starting in Italy and The Netherlands and then moving to Germany. Interactive television linked with internet is interesting. A lot of interactivity can be done by phone, but also by videophones or webcams. A similar TV format has gained popularity in France. CultTV, the urban culture talk show on France 5. Via the Cult website, viewers can post weblogs, request items or comment on them, chat with the show’s guests. Anyone with a webcam and broadband access can also involve themselves in preparing and co-hosting the live television show, as well as appear on screen. The CultTV website has video archives that show what it looks like. Part of the team that developed the CultTV format is Damien Marchi, whom I met as a young student in the last century when he was member of the jury of the European multimedia competition Europrix. Ever since he has moved into bleeding edge projects with the company Streampower of which he is part. 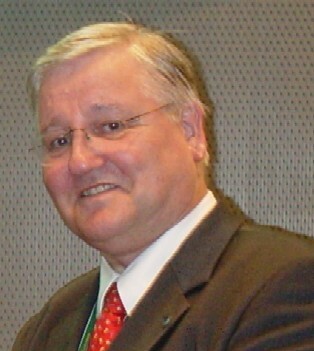 He often gets invited to television conferences, like the EBU seminar on Cross Media in Prague on November 16 and 17, 2005.